The Michigan School of Psychology (MSP) Board of Trustees is pleased to announce the following appointments: MSP alumnus Tanya Martin, PsyD (’05) to Board Chair, and Sook Wilkinson, PhD and DeAndre A. Lipscomb, MA to Board Trustee. Dr. Tanya Martin, Board Chair, has been a dedicated member of MSP’s Board of Trustees since 2010. In 2015 she advanced to become Vice Chair, and over the years has been a strong and vocal advocate for the institution. “As an alum, long-standing Board member, and practicing clinician, Dr. Martin’s unique understanding of MSP’s culture, academic programs, and the profession of psychology are a tremendous asset to her role as Board Chair,” states MSP President Dr. Fran Brown. 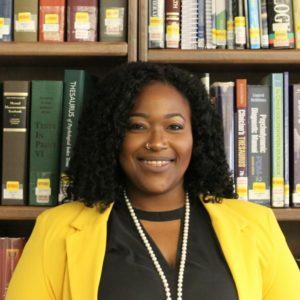 Dr. Martin is a Clinical Psychologist and Certified Imago Relationship Therapist in private practice who works with teens, adults, couples, and families, and teaches psychology and sociology at Oakland and Henry Ford Community Colleges. She facilitates groups, workshops, seminars, and educational trainings on self-esteem building, women’s empowerment, developing and maintaining healthy intimate relationships, among others. 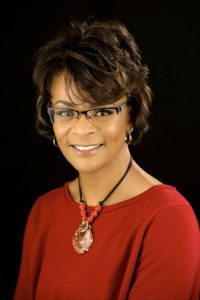 Dr. Martin is the co-author of a 2011 study published in the Journal of Humanistic Psychology entitled, “What is the African American’s Experience Following Imago Education?” She is a member of the American Psychological Association (APA) and also the founder of the “Positive Change” group, a community oriented support group. “I consider it an absolute honor to serve as Chair of the Board at The Michigan School of Psychology. It is a true privilege to give back to an institution that provided me with an excellent education and where clinicians are trained to bring about positive change in people and the world,” states Dr. Martin. Dr. H. Sook Wilkinson is a retired licensed psychologist who specialized in pediatric psychology, parenting, cross cultural issues, affective disorders, and intergenerational family issues. She worked in both private and hospital settings for more than 35 years. Dr. Wilkinson is an alumnus of Merrill-Palmer Institute’s post-master’s Certificate in Humanistic Clinical Psychology (’78) and holds a doctoral degree in Humanistic Clinical Psychology from Saybrook Institute. She is the founding Chairwoman of the Michigan Asian Pacific American Affairs Commission (MAPAAC). 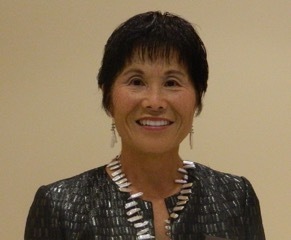 Her professional and civic memberships include: Association of Michigan Women Psychologists, Michigan Psychological Association (MPA), Council of Asian Pacific Americans (CAPA), Asian Pacific Islander Americans Vote (APIA-Vote MI), Korean American Women’s Association, Global Detroit, Korean American Adoptee Adoptive Family Network (KAAN), and Asian Pacific Islander American Health Forum (APIAHF). DeAndre Lipscomb is Vice President of Marketing and Community Outreach at Health Alliance Plan (HAP). Prior to joining HAP in 2011, Mr. Lipscomb spent 13 years with Blue Cross Blue Shield of Michigan, most recently serving as director of Market Communications. He is a graduate of Wayne State University’s honors journalism program and holds a master’s degree in Leadership from Central Michigan University. 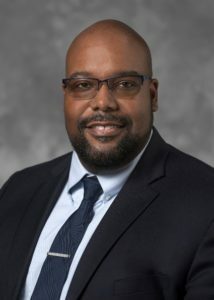 His professional and civic memberships include: International Association of Business Communicators, Public Relations Society of America (PRSA), American Marketing Association, the Society for Healthcare Strategy and Market Development and the National Association for the Advancement of Colored People (NAACP). The current Michigan School of Psychology Board of Trustees are: Chair Tanya Martin, Vice Chair Glen Fayolle, Treasurer Stacey Gray, Secretary Brian Spitsbergen, MSP President Fran Brown, Sean Cook, Todd Lipa, DeAndre Lipscomb, Paul Sturgis, and H. Sook Wilkinson. The Michigan School of Psychology (MSP) is an independent not-for-profit graduate school located in Farmington Hills, MI. MSP offers a Master of Arts in Clinical Psychology, Doctor of Clinical Psychology degree, and a Certificate in Applied Behavior Analysis. Plans are underway for a fall 2019 opening of the Michigan School Clinic, which will provide low cost mental health services to individuals and families in the Metro Detroit area.